If women have the desire for Deen and good actions then this will naturally be found in their children. In these times, our children are brought up in an un- Islamic environment that draws them away from Islam and they show no care or concern for their duties to Allah . If this is their beginning then the future results are clear. Saidina Ali RA once said to one of his pupils: "Shall I tell you the story of Fatimah RA, the dearest and the most beloved daughter of Nabi SAW?” When the pupil replied “Yes”, he said: " Saidina Fatimah RA used to the grind the grain herself, which caused sores on her hands. She carried water for the house in a leather bag, which left a mark on her chest. She cleaned the house herself, which made her clothes dirty. Once, when some war captives were brought to Madinah Munawwarah, I said to her, 'Go to Nabi SAW and request him for a helper to help you in your house work.' She went to him but found many people around him. As she was very shy, she could not be brave enough to ask Nabi SAW in front of other people. Next day Nabi SAW came to our house and said, ‘Fatimah! What made you come to me yesterday?’ She felt shy and kept quiet. I said, ‘O, Nabi of Allah! Fatimah has sores on both her and marks on her chest,because of grinding grain and carrying water. She is always busy in cleaning the house causing her clothes to remain dirty. Nabi SAW said, ‘Fatimah! Be patient. Nabi Musa AS and his wife owned only one bedding for ten years, which was the cloak of Musa. Fear Allah SWT, be pious and keep doing your service to Allah SWT and attend to your household jobs. When you go to bed, recite Subhanallah 33 times, Al-hamdulillah 33 times and Allahu Akbar 34 times. You will find this better than a helper.' Saidina Fatimah RA replied, ‘I am happy with what Allah SWT and His Nabi SAW would be pleased with." Look! This is the life of the dear daughter of the King of both the worlds. In rich families of our time, the ladies think it below their position to do house work. They need help in each and everything, even in their bathroom! What a difference! In this Hadith, the above Zikr should be reaqd before sleeping. In other Ahaadith, Nabi j is reported to have advised Hadhrat Fatimahto recite after every Salaah, Subhanallah 33 times, Alhamdulillah 33 times, Allahu Akbar 33 times and Lailaha-il-lallahowahdahu-lasharikalahu-lahulmulku walahulhamdu-wahuwa-ala-kulli-shay-in-Qadir, once. Whose daughter, whose wife and whose mother was Az-Zahra"? She was the daughter of the master of all messengers and the master of all the descendants of Adam, Muhammad bin Abdullah (peace be upon him). She had the honor of being the daughter of the Messenger of Allah and of Khadijah, the first Muslim woman. She was the wife of Ali bin Abi Talib, whom Allah honored since childhood. Ali never worshiped an idol or a statue. 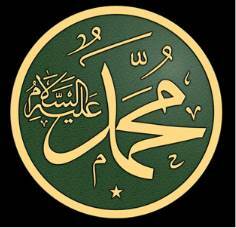 He fought with the Prophet (peace be upon him) before maturity and was the fourth caliph. Fatimah was also the mother of Al-Hasan and Al-Husayn. The masters of all youth in Paradise. 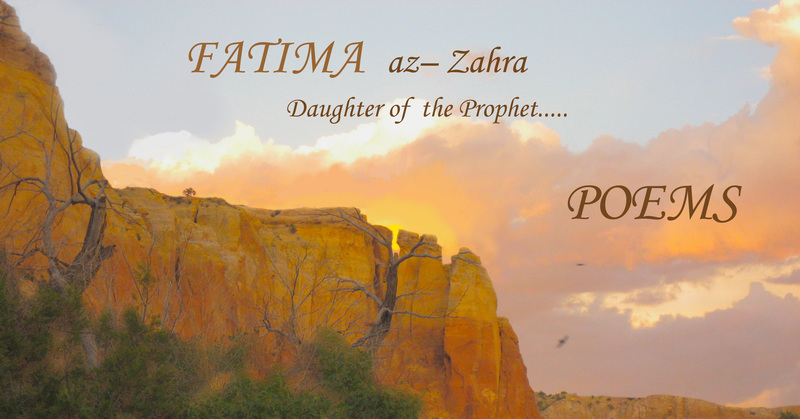 Fatimah was five years old when her father was honored with prophethood. She grew up watching her father suffering from the reluctance of the Quraysh and their chieftains aggression. She felt sorry for him and tried to support him against his enemies. But what support could a girl less than ten years old offer'? The cruelest scene Fatimah RA witnessed in her life was when her father was praying in the yard around the Ka'bah. While he was prostrating, an insolent man from Makkah named 'Uqbah bin Abi Ma'it threw a camel's intestine on his head. Everybody began to laugh. 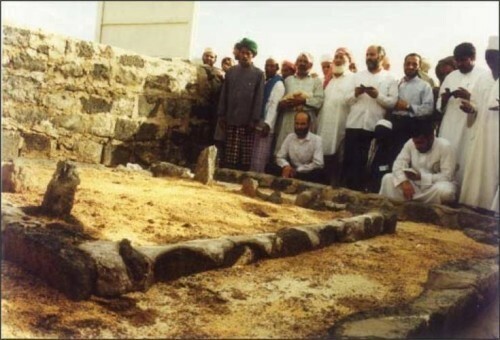 The Prophet (peace be upon him) stayed in this position till Fatimah RA removed the filth from his back. Then he (peace be upon him) rose up and turned to the people of the Quraysh, looked at them firmly, and invoked the wrath of Allah upon them: "O Allah, take revenge on the people of the Quraysh. O Allah, take revenge on Abu Jahl, 'Utbah bin Rabiah, Shaybah bin Rabiah, Uqbah bin Abi Ma' it, and 'Ubay bin Khalaf. "The people of the Quraysh feared the consequences of his prayers because they knew of his credibility. Many years later during the Battle of Badr, Fatimah RA saw those very people whom he prayed against being killed around the well of Badr. Allah SWT punished them for their evil deeds and ignorance.Fatimah lived in the field of da'wah from her childhood and took part in those aspects which were appropriate to her age and gender. Being the Prophet's (peace be upon him) youngest daughter, she stayed with her parents long after her three sisters had got married. The Prophet always mentioned her as the one most beloved to his heart. When Muhammad received the revelation (And admonish thy nearest kinsmen), (Ash-Shuara, 214) he gathered the Quraysh and said to them, "O people of the Quraysh, save yourself from Hellfire, as I cannot save you from Allah's punishment. O Banu Abdul Manaf! I cannot save you from Allah's punishment. O Abbas bin Abdul Muttalib! I cannot save you from Allah's punishment. O Saiiyah! (The aunt of the Prophet�peace be upon him) I cannot save you from Allah's punishment. O Fatimah bint Muhammad! Ask me for as much money as you wish, but I cannot save you from Allah's punishment." How significant those words were to her. For sure they had an impact on her! Again, when a woman from the tribe of Makhzunr was caught stealing, the Quraysh sent Usamah bin Zayd to the Prophet (peace be upon him) to intercede for her. The Prophet (peace be upon him) was very angry and gave a furious oration to the people. "By Allah, if Fatimah binti Muhammad were guilty of theft, Muhammad would cut off her hand. "He meant that even if the thief were the nearest to his heart, this would not stop him from executing Allah's ruling on him or her. This proves the absolute justice of Islam, whereby any punishment should be carried out whether the guilty party is one of the elite or a commoner.Fatimah lived in a house founded on prophethood, where she was brought up given a Qur'anic education. Therefore, all the Islamic values were embodied in her.She was receptive to her surroundings and tried to participate in the major events, young as she was. Thus she had a distinguished place in her father's heart. He (peace be upon him) said, "Fatimah is but a part of me. What disturbs her, disturbs me, and what offends her offends me." He also said in her favor, "These four are the best women in all mankind: Maiyam, Asiyah, Khadijah. And Fatimah. "These words elevated her as one of the best four and also the daughter of one of them, namely Khadijah. Thats a true honor.By time, the Muslims became , further ill-treated, and the Quraysh's attempts to fight the new religion became more severe. The more they failed, the more they hurt the Muslims. Then Allah permitted the Prophet to emigrate, leaving the city nearest to his heart, Makkah,. For Madinah.The two sisters, Fatimah and Umm Kalthum, were left behind in Makkah waiting for the Prophet (peace be upon him) to permit them to leave. When he did, they left with broken hearts and tears in their eyes. The two girls were amazed to see the cruelty of the Quraysh towards their converting sons and daughters when one of them, A1- Huwayrith bin Naqidh, followed them and hit their camel, causing them to fall to the ground. This incident only vindicated their belief in the absurdity of their ignorant behavior.Fatimah reached Madinah exhausted. She complained about the aggression of the Quraysh and the troubles on their journey. When the Prophet (peace be upon him) heard this, he vowed death for this evil man. This incident was not the only act of aggression towards Muslim women. Abu Jahl killed Sumayah bint Khabbat shamelessly. Also, the Quraysh attacked Umm Salamah and separated her from her husband, and, moreover, they tore her child into two in front of her very eyes.Zaynab was also attacked by the Quraysh when she was on her way to Madinah. They caused her to have a miscarriage, and it was this incident which resulted in her illness and subsequent death.Those who defended the Quraysh tried to depict them as honorable by denying that they hurt women. But such incidents revealed that the Quraysh were far from being honorable, as they never kept their word with a believer, whether man or woman.This is the jahiliyah (ignorance) agenda practiced by the Quraysh, the Jews, the Christians, or even those of modernistic trends. The main characteristics of jahiliyah have been the same throughout the ages, even if people try to decorate it or give it a false appearance.ln Madinah, Fatimah lived with her father and ran the house. It was a job she was happy to take charge of.When Fatimah was nearly eighteen, 'A'ishah joined the household of the Prophet (peace be upon him) as his wife. Fatimah was aware that the chores would no longer be hers and would be taken care of by the new young lady who came from the house of As-Siddiq. This must have upset her a great deal, as she was proud of serving her father and running his house. 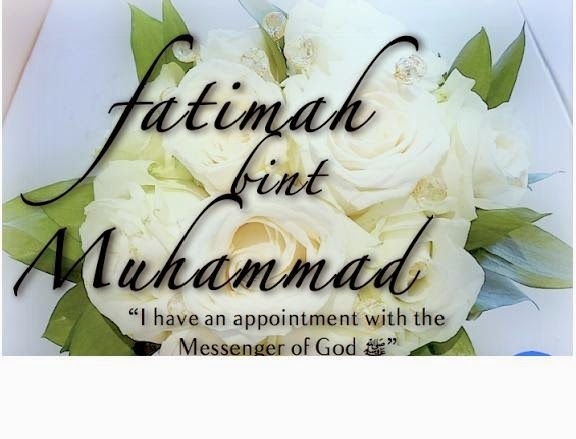 At that time, many young suitors approached the Prophet (peace be upon him) to ask for Fatima's hand in marriage.Both Abu Bakr and Umar proposed to her, but the Prophet (peace be upon him) apologized gently. People began to talk about Fatimah and the excellence of the suitors coming to ask her hand in marriage. They informed Ali bin Abi Talib and encouraged him to propose. Ali (May Allah be pleased with him) said, "After Abu Bakr and Umar'?" When they reminded him of the ties of kinship between him and the Prophet, he gathered courage to go and sit with the Prophet (peace be upon him). Ali was too shy to speak, so the Prophet (peace be upon him) made a discerning effort to break the ice and asked him, "What does Ali bin Abi Talib want?" Ali mentioned Fatimah, the daughter of Allah's Messenger (peace be upon him). 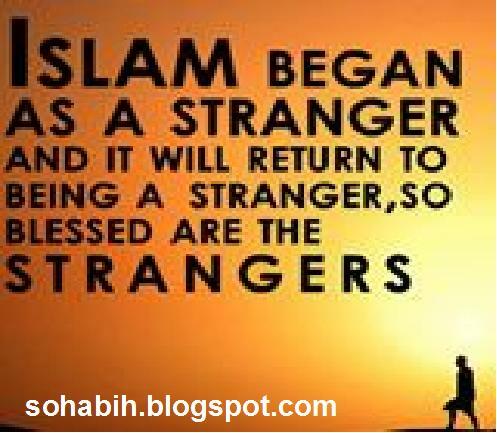 The Prophet then said, "Welcome! "That word "welcome" calmed Ali's heart. He, as well as his friends, understood that it meant that the Prophet (peace be upon him) accepted him as a husband for his daughter and one of his family, just as he had been used to before wishing to many Fatimah.The Prophet (peace be upon him) asked him, "What will you give her for her dower? "Ali answered, "I have nothing to offer as a dower. "The Prophet (peace be upon him) said, "Where is the shield of Al-Hatmiyah that I once gave you? "Ali said, "I still have it. "The Prophet (peace be upon him) said, "Give it to her as her dower. "This great moment had special implications. When Ali proposed to many a daughter of the Prophet, he had no idea that the dower could be an obstacle. He knew that marriage in Islam is based on religion and moral values rather than financial considerations and that the dower isonly a symbol of the sacred marriage tie. The Prophet himself (peace be upon him) once said, "If one whose religiousness and manners comes to you (to marry your daughter), accept him. "Did the Prophet (peace be upon him) refuse him when he heard him saying, "I don't have anything to give as a dower"'? Did he rebuke him for proposing even though he didn't have a penny? The Prophet a shield did neither and instead asked him in a fatherly and gentle manner, "Where is the shield of Al-Hatmiyah that l once gave you?" When Ali answered that it was still in his possession, the Prophet (peace be upon him) asked him to present it as a dower to Fatimah.Thus, Ali gave Fatimah as adower a shield that was initially a present from her father. Marriage used to be as simple as that at the time of the Prophet (peace be upon him) and all his wives and daughters are good examples of this despite being the noblest of all women in humanity.Such simplicity remained for years till those who preferred to complicate things asked for extravagant dowers. Therefore, money has become an obstacle to Muslim men and women who wish to marry and remain chaste.Although the shield became Fatimah's, it was expected one day that Ali would use it in fighting the enemies of Allah. Of what use to Fatimah was an object only needed by men in battle?By the time the wedding day arrived, 'Ali had sold his camel and some of his personal belongings for four hundred and eight dirhams. When the Prophet (peace be upon him) heard this, he told him, "Spend two-thirds of the money on perfume and the remaining third on household articles." The Prophet (peace be upon him) was known for his love of perfume. He loved it for himself and for the Muslims, so he liked his followers to wear scent as often as possible. This is why he asked 'Ali to wear at lot on his wedding day.He also said to 'Ali, "O 'Ali, the bride must have a banquet." Then the people around him volunteered to make the wedding banquet. Sa'd, one of the Ansar, said, "I have a lamb," and another group of Ansar brought grain.It was a happy day full of perfume, and everybody shared the joy of the bride and the groom around the banquet. This is how an Islamic wedding should be. Why have we-or many of us-changed it? The Prophet (peace be upon him) furnished his daughter's house with a bed, a leather pillow stuffed with felt, a leather flask for drinking, and a water skin. Other people covered the floor of their house with sand. 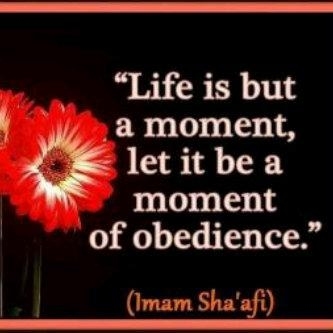 ln the evening, the Prophet (peace be upon him) said to 'Ali, "Don't do anything till I meet you." Then he (peace be upon him) went to the bride and groom and asked them to get him a bowl in which he made ablution, then poured that water for 'Ali saying, "May Allah bless them and bless their descendents? Then he beckoned Fatimah RA, who was shy and stumbled in her dress with embarrassment. The Prophet (peace be upon him) wetted her with the same water, prayed for her, and then said, "O Fatimah, by Allah, I only spared you so that you marry the best one in my family." 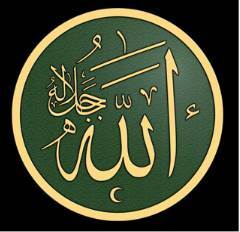 That was Allah's Messenger. He blessed his daughter's marriage, confirming to her that he had done his utmost to choose the best husband for her. The marriage of Fatimah and 'Ali was a historical event. No other marriage has ever had such results. Islamic history is full of incidents that happened in the east and west as a result of` that marriage. It was so influential that an Islamic caliphate that ruled for centuries over a wide expanse was named after her: the Fatimad dynasty. This house that had such an impact on the history of Islam was a humble one. It had nothing in it but a leather bed, a drinking bowl, and two jars. As mentioned in one narration, the couple used to do the housework by themselves although this was hard work. When they found out that the Prophet (peace be upon him) had come to Madinah with some prisoners of war, 'Ali told Fatimah, "I have worked till I start to complain about pain in my chest, and your father has brought some prisoners of war. Go and ask him for-one of them to help us with the chores." Fatimah also said, "As for me, by Allah, I have been grinding till my hands suffer from the hand mill." She went to her father to make her request. On reaching his house, she sat silent beside him. He said to her, "Why did you come, my daughter?" Fatimah was too shy to ask him and said, "I came to ask about you." When she returned home, her husband asked her how she had got on. She said, "I was too shy to ask him." Then 'Ali rose taking her by the hand and they went to the Prophet (peace be upon him). 'Ali said, "By Allah, O Messenger of Allah, I have worked hard till I complain about pain in my chest, and Fatimah's hands suffer from the hand mill. Yet Allah has sent us captives. Will you give us one?" The Prophet- answered "By Allah, I will not give you any while the people of As-Suffah are starving." Fatimah and 'Ali went home unoffended, for they already knew that the Prophet (peace be upon him) was always fair to his people. The Prophet (peace be upon him) realized that his daughter and cousin were in need of some relief from their suffering. He followed them to their house and told them with overflowing tenderness, "Shall I teach you something that is better than what you have asked of me?" "Then learn and- repeat these words that I have learned from Gabriel. After every prayer say: Subhan Allah ten times, Al-Hamdu Lillah ten times, and Allahu Akbar ten times. And when you go to bed, say: Subhan Allah thirty-three times, Al-Hamdu Lillah thirty-three times, and Allahu Akbar thirty-four times." This was what the Prophet SAW offered his daughter and her husband: a strong rope connecting them to Allah SWT, so that whenever they prayed or went to bed they held fast to that rope. The Prophet (peace be upon him) was pleased to see signs of satisfaction on both their faces, and he then left comfortable because the house he loved was happy. 'Ali and Fatimah retired to bed afterwards, and when they covered their heads with the velvet bed cover, their feet were bare. When they covered their feet, their heads were bare. But despite all that, reciting Subhan Allah, Al-Hamdu - Lillah and Allahu Akbar sufficed them; it was richer than all the glamour of life. F atimah's house was overwhelmed with happiness when she gave birth to A1-Hasan, Al-Husayn, Umm Kalthum, and Zaynab. Those children filled them and the Prophet (peace be upon him) with joy. We, the wives of the Messenger of Allah (peace be upon him), were with him (during his last illness) and none was absent around him. Fatimah, who walked after the manner of the Messenger of Allah, went to him. When he saw her, he welcomed her saying, "You are welcome, my daughter." He then beckoned her to sit on his right side and told her something in secret that caused her to weep bitterly. Finding her grief stricken, he confided in her for the second time and she laughed. I said to her, "The Messenger of Allah has singled you out among the women (of the family) by speaking to you about something secretly and you wept." When the Messenger of Allah recovered from his illness, I said to her, "What did Allah's Messenger say to you'?" She replied, "I am not going to disclose the secret of the Messenger of Allah"
When he died, I said to her, "I adjure you by the right that I have upon you that you should narrate to me what Allah's Messenger said to you." She said, "Yes, now I can do that (so listen to it). When he talked to me secretly for the first time, he informed me that Gabriel was in the habit of reciting the Qur'an along with him once or twice every year, but this year it had been twice and so he perceived his death quite near. 'So fear Allah and be patient,' (he told me), and that he would be a befitting forerunner for me. So I wept as you saw me. And when he saw me in grief he talked to me secretly for the second time and said, 'Fatimah, are you not pleased that you should be at the head of the believing women or the head of this Ummah?' I laughed and it was that laughter you saw." (Sahih Muslim, 6004). Fatimah lived for six months after the death of the Prophet (peace be upon him). She died on Tuesday, 3 Ramadan, ll A.H. at the age of twenty-nine. There was no friend or peer equal to her in the details of her innocent life or the effect she had on the history of Islam. Therefore it became natural that authors, historians, poets, and writers of sirah (the Prophet's biography) still mention her, Fatimah Az-Zahra'. I would like to complete this with a fitting epilogue by the poet laureate, Muhammad Iqbal, entitled "Fatimah Az-Zahra""
The story of Maryam was made immortal by Jesus.But Fatimah's one for three reasons was glorious.Whose daughter, whose wife, whose mother was she?And who excels her father in greatness?She was the light of the Prophet's eyes,He who guided the nations who longed for guidance.Her husband had on his head a crown of Surah Hal Ata,*Brighter than the sun when it rises.Shooting his arrows at the hardships to destroy them.Standing like a lion in Allah's fortress.In Fatimah's garden grew two unparalleled boughs that no one else but she ever begets.Her sons were commanders of the Jihad army and makers of the unity and peacefulness.She was an ideal example for all mothers to follow and a comfort for whoever came to her in distress.She did her best to give him relief. O clouds, your rain is nothing when compared to her usefulness.Her lips recited Qur'an while her hands ground the barley, over the hand mill stress.Except for observing the commands of the Prophet SAW, I would have revolved around her graveAnd given the ground under her body a warm kiss. *The question "Hal ata?" marks the beginning of Surah Al-Insan, which was revealed in honor of 'Ali bin Abi Talib when he gave all the food in his house to the poor, leaving nothing for himself or his household to eat.